Add a handsome dose of range to your collection of basics by accessorizing them with this dapper and debonair screen-printed bowtie in a cultured palette of coppers, ivories, blues and ivories. 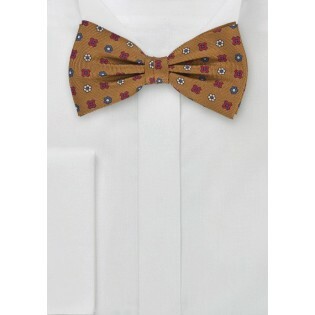 Maximize the complexities of these masculine colors by pairing this bow tie with dark toned neutrals. 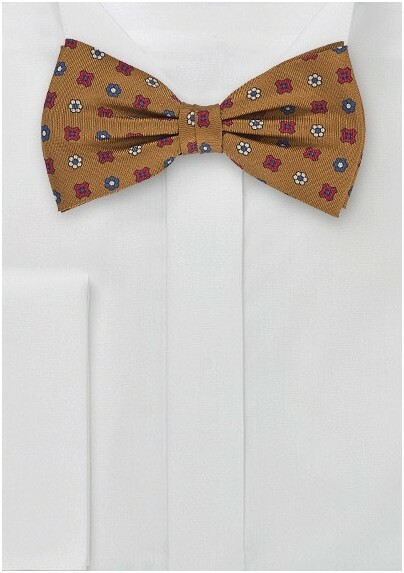 We love the smart combination of this floral patterned bow tie with textured brown tweeds. Fabricated from pure Italian silks.